If you’ve noticed a theme to the iJamming! Daily Download this week, it’s that all the artists are connected one way or another to this web site and to the iJamming! Pub. (That includes members of Radio 4, who occasionally contribute in the Pub under pseudonyms.) Today’s offering is no exception. In the Pub he goes by the simple name of David, but professionally he’s known as IDC, a DJ, mash-up artist, producer and remixer of some note(s). I then went on to manage Three Colors, an American band I brought over to London, and after some initial mutual camaraderie, my friendships with the Pop Icons suffered. I moved into a house in West Norwood with Three Colors, and by late 1987 had moved to the States with the band. There’s a novel in there somewhere, and I think I may even have written it a decade ago and put in a drawer, but if I do ever publish it, I will probably have to rewrite it first, given that Dave showed up via e-mail and then at the iJamming! Pub a couple of years ago and we’re all matey again, being much older and wiser. The truth of it all is that some of us just have music in our blood and can’t not but be involved. I’d heard rumors over the years that Dave had rediscovered himself as a DJ, and the proof, as they say, is in the Pudding (“the proof is in the dessert” doesn’t have the same ring to it). Check out the downloads page on his IDC web site, and you’ll hear how he’s crafted some of the better mash-ups of recent years: if he had been witness to the reaction when I DJ’d ‘Hey Mug’ (Outkast vs. The Streets) at Tiswas one Saturday night about three years ago, he could probably have died a happy man. Over the least year or more, Dave has been establishing himself as a producer/artist, too, and we’re proud to make available for our daily download his debut single, ‘Scratch’. 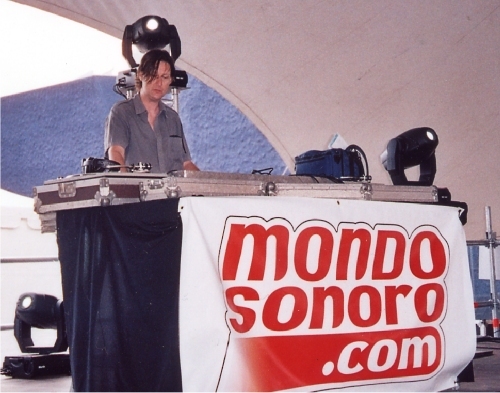 When it came out, DJ mag said that it was “a number that DFA should be proud to release,” which provides a nice segue from yesterday’s track. 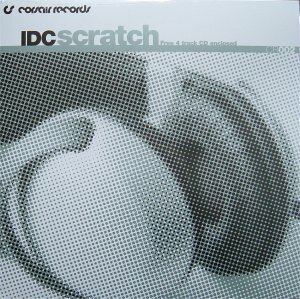 Indeed, we had IDC remix Radio 4’s ‘Enemies Like This’ earlier this year, a version you can hear for the time being at R4’s myspace page. IDC got an itch need scratching. Dave’s second single ‘Payola’ included an excellent sample from a certain Jamaican movie of great infamy; his new release ‘Stomp’ is available for exclusive download from the brand new Rough Trade Digital store until December 31, after which it will presumably be available in formats more familiar for us DJs. IDC will be DJing at Razzmatazz in Barcelona on New Year’s Eve for anyone who figured on seeing in 2007 in Spain. Those confined to British soil can make do with dates in Brighton and London at the end of January. Those of us in the States or elsewhere still have the free MP3. Enjoy.